“Transilvania Frumoasa” (Transylvania the Beautiful) is my first short documentary, made on an Iphone 5. I wanted to say that it was a simpler time back then, seeing that I am now in post production with two feature length documentaries, living by myself in Paris, gearing up to write my next project (the most challenging yet!) … but that time back then, wasn’t simple either. I remember the edit. I had nasty flu, I couldn’t even stand, I was under a crazy deadline … I recorded about 50 takes of the narration. It’s not that long ago but it feels like another lifetime. I’m keeping this letter short because if I start, it may get really long! All I’m going to say is that this is the most challenging time I have ever experienced, that I’m looking for that space between the “either” and the “or” and that I am experimenting with a new thing: being alone. What a strange challenge. I am grateful for it and for all the film work as well. I am doing what I love with a refining fire blazing around me. End of January, I flew to Chicago to play a show with Forest for these fine people at Twelve Consulting. They do so much good work in their community. Jill started the company and her husband Josh joined in. After 5 days of Oaxaca, where I’m doing a rough-cut screening of the Egypt film I will return to San Fran for 10 whole days! Mid March, back to my solo existence in Paris for about 3 more months to finish editing the Egypt film AND the vampire/strigoi documentary. PS. RIP Ana Misin, the lady on the left on the movie poster. I’ve been doing a lot of thinking lately, for better or for worse. Along with pondering comes remembering and I got to thinking about my childhood and how I always wanted to be a grown-up. I was washing dishes at the very moment when I realized that I am living my dream come-true. I am a grown-up! Is it everything I hoped it would be? Aside from my plan to smoke when I grew up ( I abandoned that one quickly enough), it all feels pretty much right-on. The best way I can describe it is that I feel that I have myself all to myself. It’s a good feeling. A lesson learned from here is that although I’ve set a pretty achievable goal for myself, I can still celebrate it. As I was washing the dishes in warm water, also thinking about my grandma whose passing will be a year-old this December, I felt accomplished and grateful. I remembered how she loved to wash dishes in warm water and how she always offered to make sweet ‘urechi.’ I miss her more now than when she was alive. It’s so strange how that ultimate separation spreads a perfecting sheen on our loved ones. I wanted to share these thoughts with you in the spirit of self reflection, gratitude and celebration. More on that on the Goat Lips Productions site. Last little piece of news, Forest and I just got back from the Tallgrass Film Festival where we joined our friends Oscar Torre and Chuti Tiu in celebrating the world premiere of Cassie Jaye & Evan Davies‘ movie “Who’s There,” in which we are actors. The Tallgrass experience was out of this world! Those folks really know how to put on a film festival. Wow! Other than that, I’m really hoping my family comes over for Thanksgiving and that the squirrels stop digging my herb garden. Write back when you can. PS. Here’s an article in the Fashion Globe about how we made a award-winning movie on an iPhone. Very kind of them to feature us. Many thanks to Tiffany Le. 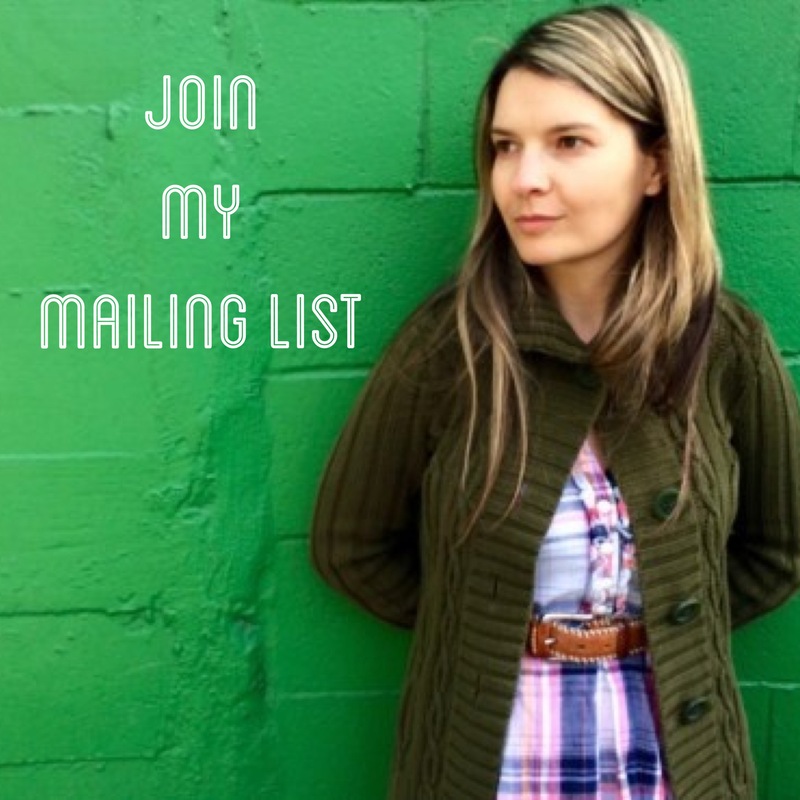 If you’d like to receive my newsletter in your inbox, you can join my mailing list here. September is here! Are you feeling cozy? I feel like doing cozy things like sewing or knitting, coloring (yes, coloring), restoring some old piece of furniture, reading books, wearing sweaters … no, no sweaters yet. What’s your favorite way to welcome fall? I have some fun news to share with you. Our short documentary “Transilvania Frumoasa” (Transylvania the Beautiful) will premiere next week at the Nevada City Film Festival. I have more film & music news to share with you but they’re still brewing. Can’t wait to tell you all about it. Write back when you can and tell me how you are. How are you? How’s your summer so far? Is it summer yet? We’re had a few very warm days in San Francisco, always with the cool evenings that I enjoy so much. A few things happened and I wanted to catch you up on. Some very good and some very scary. In the middle of our West Coast premiere of “All Sales Final” (which was amazing – BLOG post here) I found out that my mom had a heart attack. I can’t even begin to describe what was going through my heart; I was so happy about the success of our film while feeling powerless and so scared about my mom’s health. It’s been over two weeks now and she’s recovering well. She finally found a doctor she likes who’s not going to conduct experiments on her (long story). What’s amazing in all this are the lessons we are all learning. My mom, who is only 56, has the best attitude; it’s a turning point and a gift, she says. I get to look at my life and “really live it” even more. If you think of her, please send her prayers of peace and healing. I’m good. It feels as if I’ve been very busy. Amongst other things, I created a new website for Forest on squarespace. That was a steep learning curve! There are quite a few photos of me on that site. haha I also made a new site for myself (still in progress) and a brand new one for our film production company Goat Lips Productions. Let’s see …. what else. Big film news: In addition to the Asheville Film Fest in NC, our short film “All Sales Final” got accepted into the Chennai International Film Festival, India AND into Tiburon International Film Fest AND (although this is still a secret) into the Albuquerque Film Fest!!! If you’d like to join us in Tiburon, CA or Albuquerque, NM, please let me know. I would love to see you there. We’re also working on setting up a concert in Santa Fe when we come out to Albuquerque in June. I’ll keep you posted. How about this one? Swoon. She stopped me in my tracks, as she always does. The moon.